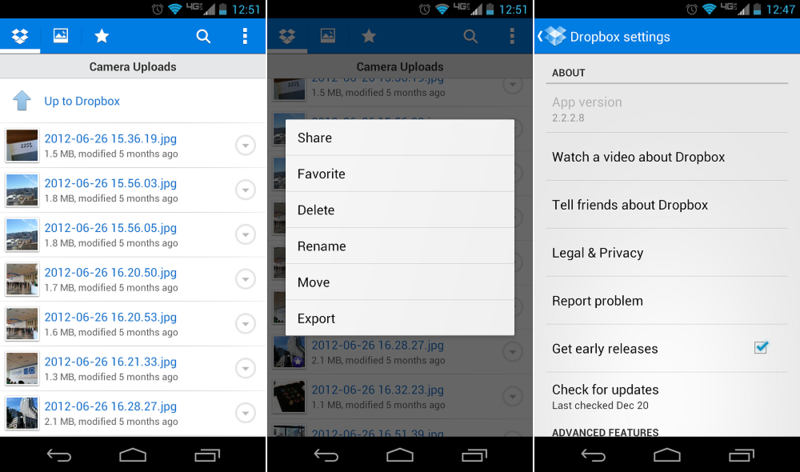 Last night, the Dropbox team released a public beta of their new 2.2.2.8 build for users to provide feedback on. Inside the beta are some UI improvements, a multiple photo delete feature, and a “favorites” feature. If you’re big into Dropbox, it’s pretty smooth. Check out the full changelog and download the beta below.